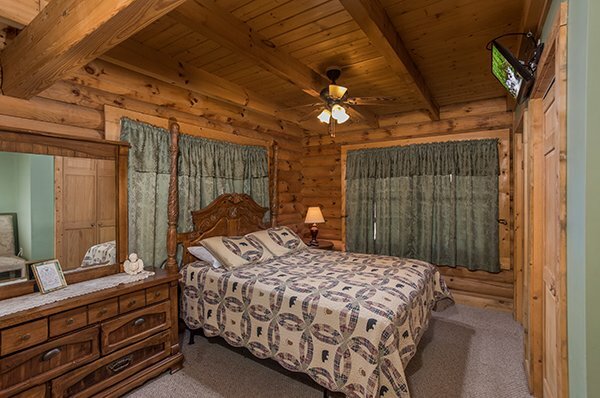 If you've been dreaming of a cozy cabin for your family, you've found it at SIERRA'S MOUNTAIN RETREAT! 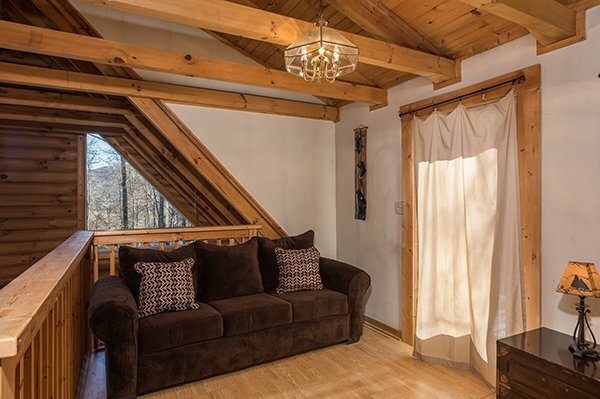 Located in the lush Wears Valley, this mountain cabin is only a few short miles from the "secret" entrance to the Great Smoky Mountains National Park. 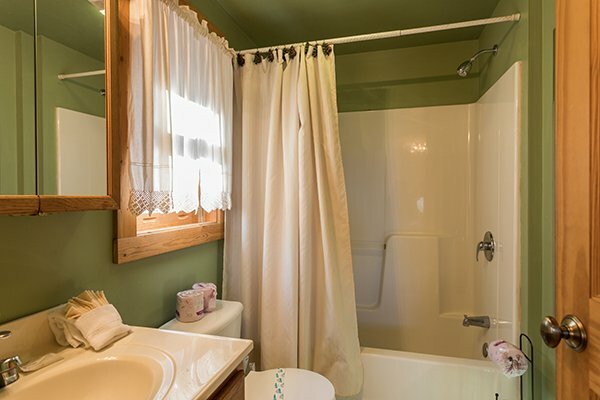 You'll enter this 2-bedroom, 2-bath home from the wrap around porch. 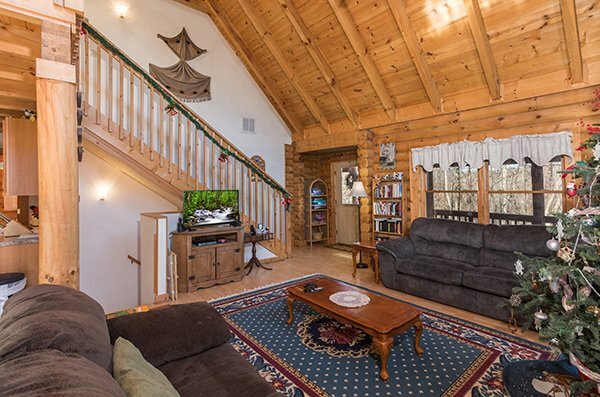 The vaulted living room features high ceilings to let in plenty of natural light. 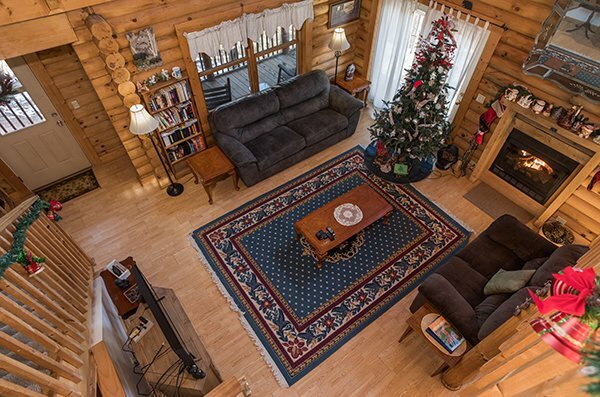 A warm gas fireplace invites you to curl up and relax. 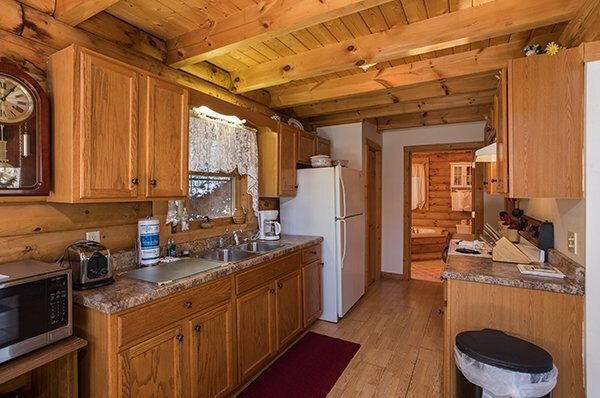 There's also a fully equipped kitchen perfect for dishing out your family's favorite meals to enjoy together. 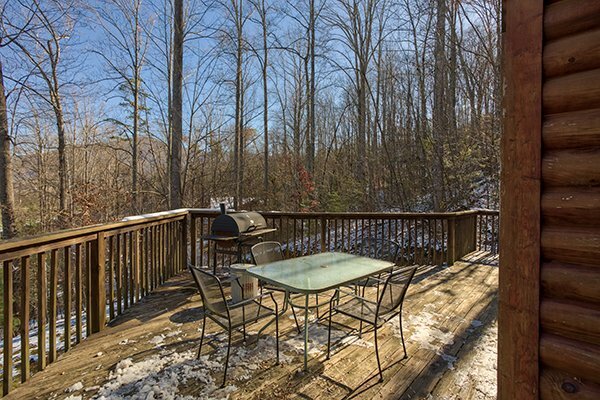 Or venture out to the wrap around deck. Bring the charcoal and fire up the grill on a summer night. 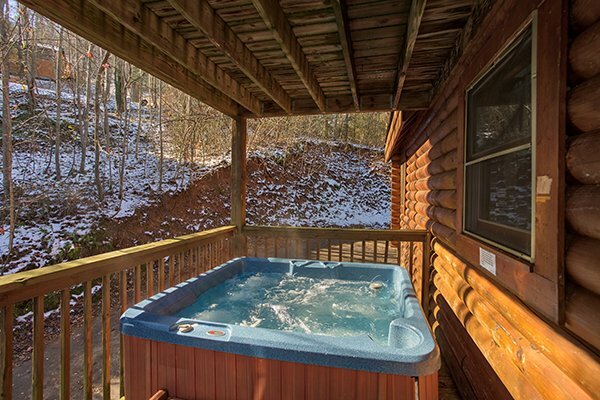 The steaming hot tub and rocking chairs make this porch the perfect place to enjoy the serenity of the Smokies. 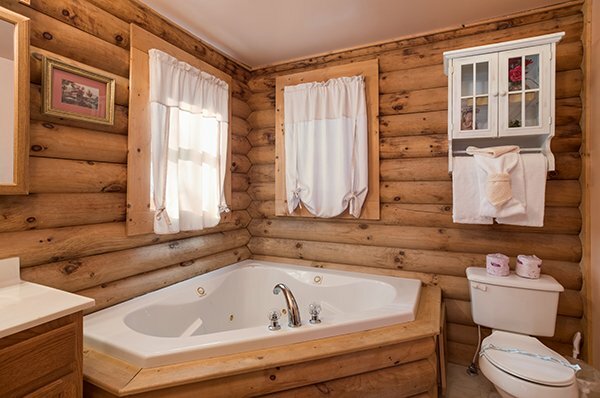 After a day of family fun, retire to the queen master suite, complete with whirlpool jacuzzi! 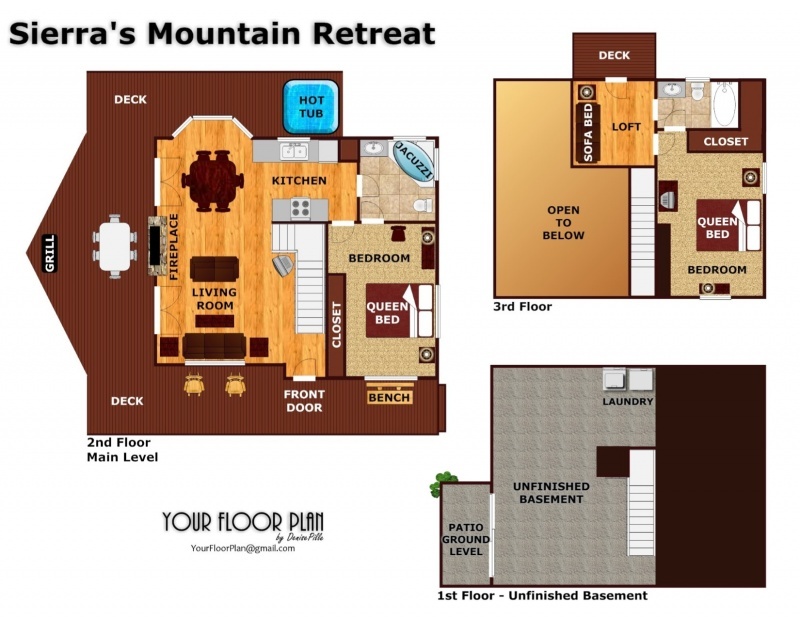 SIERRA has created the perfect MOUNTAIN RETREAT to book for your next family trip. 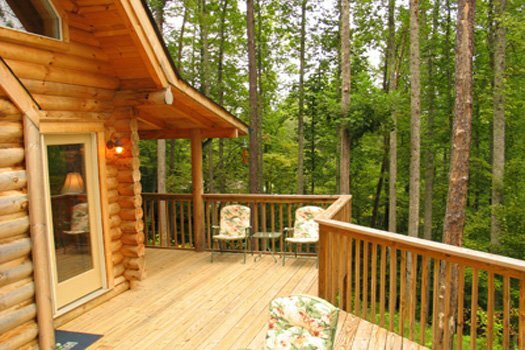 We loved the cabin. 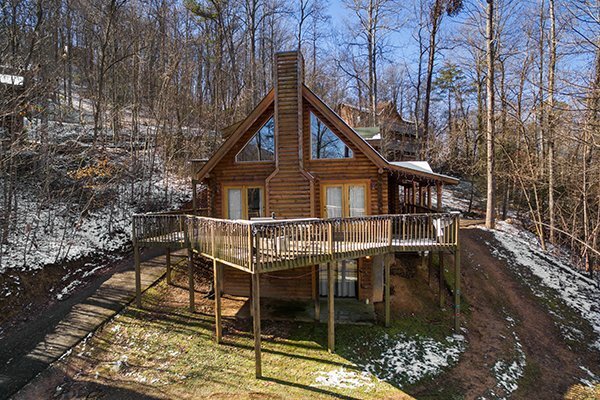 We go to Tennessee every year for Thanksgiving and this is the first time we got a cabin from you. Definitely wont be the last time. 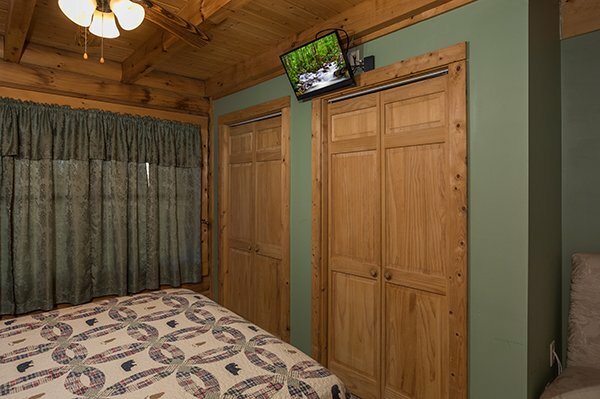 We look forward to staying at one of your cabins next year. Loved the cmas decorations too. 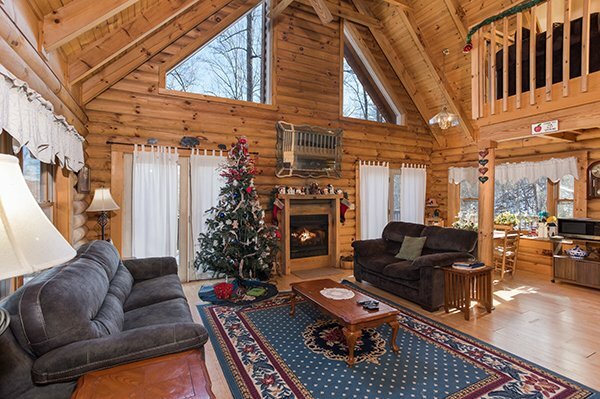 The cabin was absolutely beautiful and we can't wait to come back. We would like to thank you for a very nice place to stay. 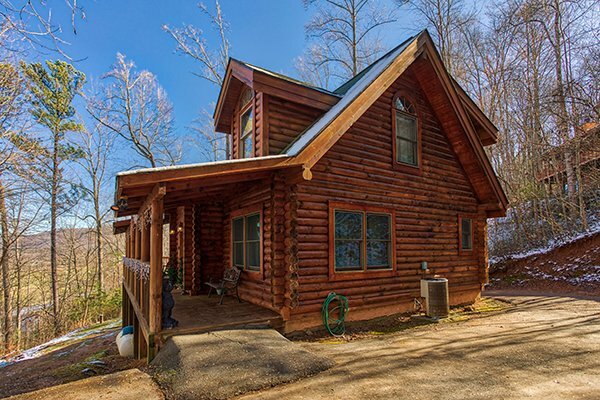 We have stayed at one of you cabins 3 times and have been happy with all of them. The cabin is nice...if we come back we would like to try another cabin mainly for the experience...the driveway was was a little tricky, but a nice place none-the-less. 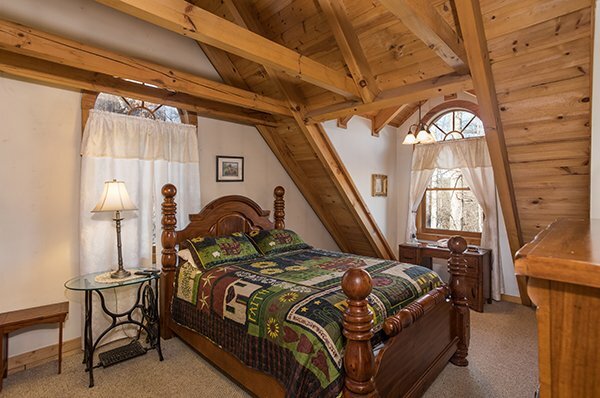 The nicest cabin we've stayed in since we've begun making annual Christmastime treks in 2003. Loved the Christmas decorations! Overall an excellent experience! We all had a wonderful time! Thank you so much! HAD A WONDERFUL TIME. 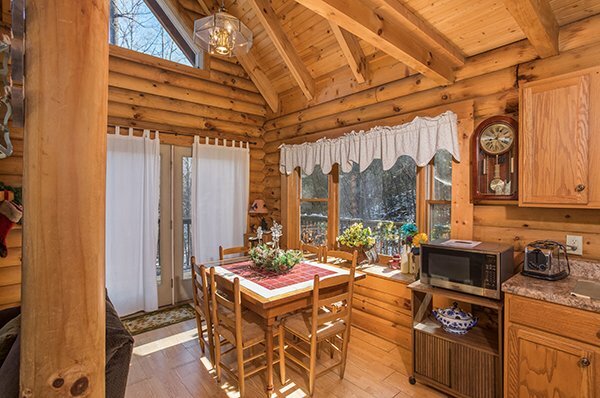 THE CABIN WAS BEAUTIFUL AS WELL AS THE VIEW. WE WILL CERTAINLY CHECK WITH YOU ON OUR NEXT VISIT HERE. 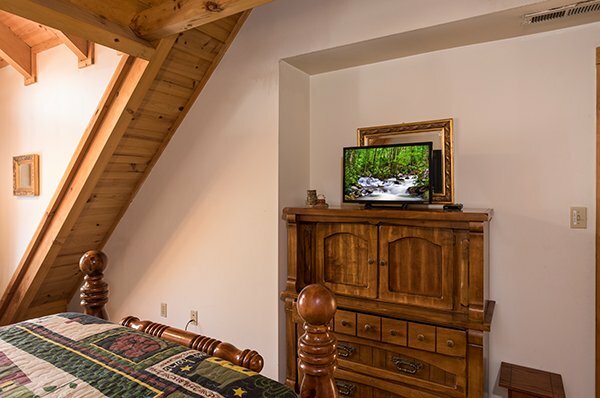 WE RATED THIS VACATION A 10+. Everything was wonderful, we had a great weekend. Cant wait to come back.